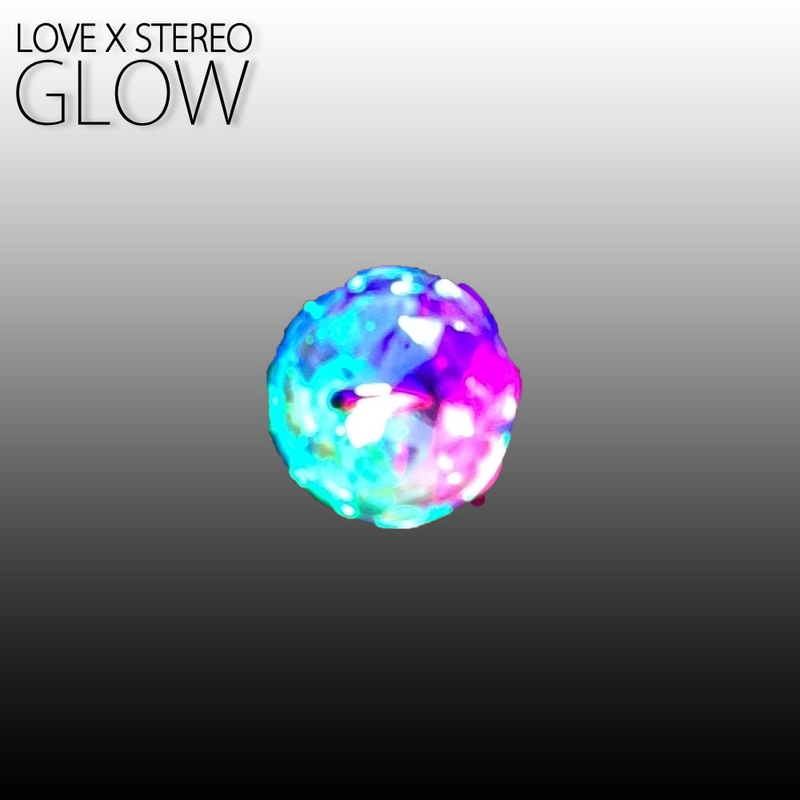 Haling from the city of Seoul (Korea that is), Love X Stereo’s brings forth a brand new EP release titled “Glow,” which is set for release on September 26 (2013). The sound on this project is a cross pollination of several genres that can only be summed up as Alternative Dance. It is Love X Stereo’s uniqueness that makes their new 7 track EP such a fun and interesting project. My favorite song on this project is “Soul City (John Gaska Remix)” because it has a great deal of club potential for U.S. markets. It’s a synth-pop groove that could easily feature Will.I.Am on the track, which could bring a lot of great exposure for this band. Right out of the gate the track grabs you with its awesome pop/electronic beat that is heavily laced with synthesizers to provide the necessary bed of melodies. This particular remix of Soul City will get the party started for just about anybody. In addition, songs like “Lose To Win” and “Secrets” round the project out very well and I couldn’t help but enjoy the projects rainbow of sounds and styles. For the most part, the project is upbeat with honest melodies and lyrics. I’d recommend Love X Stereo to anyone who has affinity for Alternative Rock and Electronic/Dance music. Love X Stereo is scheduled to appear at a number of U.S. and Canadian music festivals and venues this fall. Don’t miss them! Visit their website to see when they’ll be in your area. Love X Stereo gig more than any other band in Seoul. In the relatively short time they have existed, the dance-oriented rock band have released three EPs and will release their newest one, “Glow,” this Friday. At the end of September, the band will embark on their first North American tour. While mainstream Korean music explodes across the world in a wave of K-Pop, alternative musicians in Korea still have to claw their way up to be heard. Being a musician in Korea is no easy feat. It’s is a great place to grow and create, but there is little opportunity for independent musicians in Seoul to be heard by a wide audience. Large-scale distribution is very difficult, if not impossible. Touring is limited to a few cities, and while the audience for non-mainstream music is growing, it is still extremely limited. Given this atmosphere, Love X Stereo are branching out. Chincha caught up with lead singer Annie from Love X Stereo to talk about the group’s future. Have you gigged outside of Korea before? Why now? Do you have any expectations for the North American audience as opposed to the Korean audience? No, we haven’t. It’s our first time. And it’s about time. When we first started our band, less than two years ago, our goal was to be heard from the outside world. We are very eager to find out what others have to say about us outside of Korea. It’s pretty much our motivation to do what we do now. We believe that we might get more direct response than here. Good or bad. We can take in, and we’re willing to evolve from there. What are your goals for the tour? We would like to meet our fans, of course. And hopefully get some exposure to the music industry if possible. We want to test ourselves to see if we can handle this, too. And want to figure out what needs to be done to make a better show for the audience. Are there any gigs, cities or festivals that you are particularly looking forward to? We are looking forward to CMJ Music Marathon, definitely. It’s an honor to be invited to such a huge festival, so we need to bring our A-game. We’re spending almost a month in NYC, so we’re pretty excited. We’re heading to Cincinnati, Washington, Chicago, Detroit and Toronto, too. Very excited, indeed! What can you tell us about your new EP, Glow? In “GLOW,” there’s a very strong synth pop vibe into it. It still has the 90s alternative feeling, yes, but we wanted to make this EP more pop than usual. Didn’t think that much when we made it. It’s was supposed to be simple, direct, but grand. Hope we nailed it. How does it differ from your last EP, Off the Grid? “Off The Grid” has a more psychedelic feeling. We didn’t know, and actually didn’t want to know, when to stop the song. But this time, we very much knew all along when to start and stop the song. Our sound and style hasn’t changed, but the songs are a bit tighter that way. Where was it recorded? Did you produce it yourselves? We recorded it at our humble studio all by ourselves. But luckily, we got to work with one of the best producers, yOoNtEk Jeong, and he’s coming with us on our tour as our sound engineer. Anything special in this EP? Our title song is called “Lose to Win.” This song is dedicated to anyone who is struggling everyday with the unknown future. We believe the song is very soothing, relaxing, yet powerful. Hope you like it. Another song called “Crossing Rivers” is a song about North Korean Kkotjebi. We wanted to send out a message that we need to care more and more about these matters and do something about it. This song will be featured in the upcoming PSCORE compilation album as well. On this EP, we included three remix tracks from two DJs, John Gaska and J-Path. It was really an honor to work with these guys. Superb remixes indeed! Love X Stereo play live at Club Freebird on Friday September 13, 2013. Used Cassettes, New Blue Death, Who Who, and Rock N Roll Radio support. Click here to support their tour. South Korean music isn’t limited to K-Pop only. There’s a thriving indie scene centered around Seoul’s Hongik Univeristy, known as Hongdae for short. But some observers say the neighborhood has become a victim of its own popularity. Is Korea’s Indie Epicenter Too Small For Musicians? Much of the music we hear coming out of South Korea these days is of the K-pop variety. Acts like the Wonder Girls, Girl’s Generation and of course Psy have drawn global attention. But back home there is an indie music scene. It’s not big – in fact it’s almost entirely centered in one neighborhood. Love X Stereo is an indie band that’s been playing the bars and clubs around Honggik University for the past seven years. Lead singer Annie Ko tells me her band takes inspiration from 1990s alternative music, but puts their own twist on it. So it’s definitely not K-pop, I asked. “Yes it’s not K Pop,” she says and laughs. Love X Stereo is a staple of the music scene in this neighborhood, known as Hongdae for short. Outside, the sound of guitars and drums echoes down the alleys. A small park is packed with a young crowd checking out a live performance. 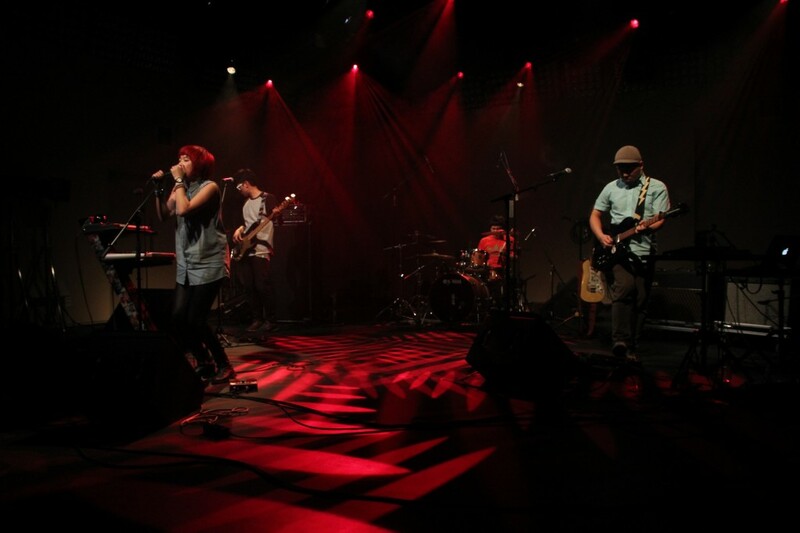 If you’re an indie band in South Korea, Hongdea is the place where you get your start. Observers say it’s no coincidence that this neighborhood is the epicentre of the country’s independent music scene, or any other art form for that matter. “Hongdae is without a doubt Korea’s number 1 art university. As a result it’s where all the artists would study, but more importantly, play,” says Bernie Cho, CEO of DSFB Collective, an agency that promotes Korean music overseas. How bands in the Hongdae system get their start is a lot different from how K-Pop acts get their start, says Cho. Huge entertainment companies south of Seoul’s ritzy Gangnam assemble those groups, give them a style and write their music. Hongdae is more of a do-it-yourself environment. The group 3rd Line Butterfly started playing the Hongdae scene about 15 years ago. They recently won album of the year at the Korean Music Awards. Guitarist Song Ki-won and singer Nam Sang-ah say Hongdae has gone through some big changes since when they first started performing there. I asked singer Nam, if she thinks the scene is still as warm as it used to be. But some venue owners in Hongdae say it’s getting tougher to stay in business. “People come more, more more, prices go up, up. Many artists can’t work in Hongdae, it’s too expensive,” says Eddie Hwang who manages the live music bar F-F.
Bernie Cho of the DSFB Collective says Hongdae’s growing popularity has come with a price. For Annie Ko, Love X Stereo’s lead singer, finding new venues outside of Hongdae doesn’t sound like such a bad thing. She says her band hopes to broaden its horizons. Love X Stereo recently took off on their first overseas tour to the United States. It seems like her wish came true. The past couple times I visited Seoul, I’ve been able to see Love X Stereo perform live. It never occurred that even though I met them in person, I never asked for an interview. So to correct that mistake, I contacted Annie, lead singer, who was open to me sending question for the band to answer. (Small Trivia) Love X Stereo is also one of the earliest bands that I found on bandcamp. Hi, we are Love X Stereo. We started out as an alternative rock band reminiscing the 90s. But we like to keep our sound up to date, so we try to infuse a lot of electro elements into our music. So it’s basically, 21st century style alternative rock that you can dance along. The history of the band has been mentioned numerous times. The electronica/rock style you play is becoming more popular with Korean bands. Do you see this as an evolution of the music from South Korea? We think that there is a definite trend here with all those synth-rock styles that got started about 2-3 years ago. We feel that ever since Two Door Cinema Club became a huge hit, a lot of bands tend to go for that kinda style. So, no, it’s not an evolution, it’s just merely a trend. What are the challenges the band has had when making music or performing live? Just one thing: we have so much gear, so we feel like we really need a car, or a manager, or both, but that hasn’t happened, YET. There are many sites that talk about Korean indie music, what do you think about the genre becoming more popular internationally? Well, to think of it, the word K-indie itself is kinda weird and awkward to us. We just want to be accepted as a rock artist who happens to live in Korea, and that will do just fine. But there must be some kind of process that needs to be done, I guess. So for Korean indie music (as a latecomer), in order to gain love and respect internationally, like the way we’d actually want to achieve it in the near future, we feel like we need to be better and better everyday. We are preparing a new EP that will come out soon in this summer, so we’re having high hopes for that. We are about to release new videos like high quality live sessions at our studio. We are currently working on collaboration projects with various pop artists, DJs, and fellow artists. And we would like to go on an international tour if possible. We are coming up with fresh new songs this summer. It’s going to be HOT! Are there any bands to recommend? Rock’N’Roll Radio, New Blue Death, Used Cassettes, WHOwho, Juck Juck Grunzie, We Are The Night,Les Sales, Killer Drones, The Quip, Tier Park, Angry Bear, Dongmyo Police Box, Love Shop, Table People,Luditstelo, Monkey Beats, Sizose, Kite Flying Robot, Gutz, Lowdown 30 etc. What bands are you listening to now? Anything to say to readers? Meet you at Glastonbury, SOON! Love X Stereo on Twitter. Love X Stereo on Facebook. Love X Stereo on bandcamp. Both times I’ve seen the band, they played great shows. With a new EP this summer, there will be new sounds from the band. I do enjoy the last two EPs the band released, but I’m hungry for new music. Love X Stereo is an great band that can use your support. Each week in our new column, “No Sleep Til…,” we’ll be talking to cool kids around the globe, asking them to fill us in about the bands, DJs, music venues and night spots they and their friends are obsessing over. Next time you visit their home city, leave your Fodor’s and Lonely Planet guides behind and go party like a local instead. I am the vocalist/keyboardist of my band Love X Stereo. 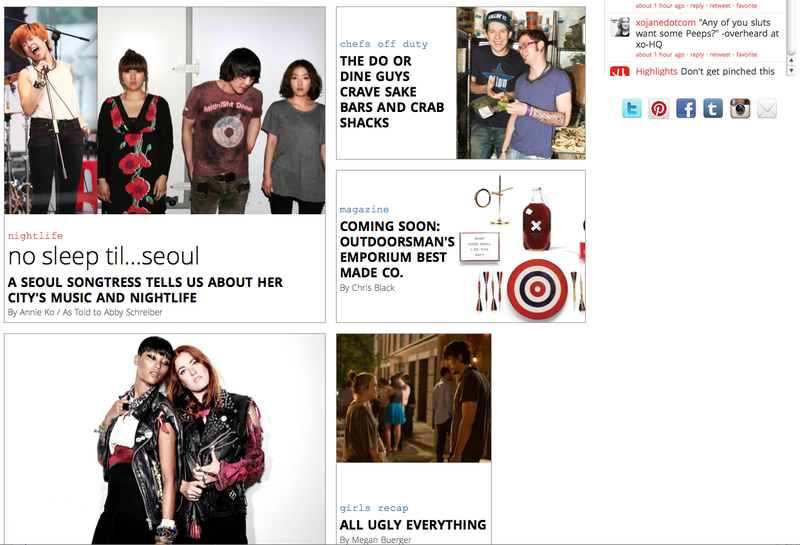 I also work as a producer of SEOUL Magazine — a travel and culture magazine for foreigners. Basically, our music is alternative rock infused with electro elements. We like to create grand-scale, energetic, powerful, almost overwhelming sounds that contain majestic, futuristic vibes. We are very open to any type of genre, and like to mix all the elements into our own style. All of our members have been playing music for over 10 years. Our leader, Toby, is actually one of the pioneers of sk8 punk rock here in Korea. What South Korean bands or DJs are you obsessed with and think more people should know about? Hmm.. that’s a hard question. Because honestly, our music scene is still in the developmental stages right now. We would so like to have a certain band or DJ that we could be obsessed with, but unfortunately we don’t. We do have bands and DJs that we like, absolutely. We like dnb DJ J-Path, and experimental grunge band The Quip. We performed a lot with The Quip. Their sound is very unique, noisy and pretty much ‘drunken alcoholic’ — it’s the opposite of our music. Their music is really, really raw and crazy, as opposed to our music, which is so, so elaborate and futuristic. J-Path is ‘the best’ dnb DJ in Korea. No doubt about that. His sound is very dynamic and rock-based. Actually, he happened to be at one of our shows and contacted us, suggesting a collaboration. Pretty stoked to work with him soon. Where are the cool places to see live music in Seoul? Obviously, Hongdae area. Hongdae stands for Hongik University, and they have the No.1 art institute in Korea. So you see, it’s the most artsy area you can find in Seoul. The area is basically the birth place of Korean punk rock in the 90s. Not only punk, but all sorts of indie music is happening every minute in the area. There are a lot of live clubs here, and you can easily meet numerous musicians performing at these venues. But these days, a lot of dance clubs and lounge bars are [taking over]. Many people come here to simply dance, enjoy rock music, and get drunk all night long. What are your favorite bars or nightclubs in Seoul? My favorite spot these days is Col.l.age+. It’s located in Cheongdam-dong (very far from Hongdae, right in the middle of Gangnam). It’s a new multi-functional space (restaurant/bar/gallery/club), but the space itself is aesthetically mind-blowing. Check photos here. It’s a place for someone who’d like to experience a whole lot of culture. Most days it’s a hip restaurant, but whenever they have a party or a live show — or an exhibition maybe — it automatically transforms into something completely different. Illustrations of a blue sky with white fluffy clouds are all over the venue from top-to-bottom so it’s visually very striking. I wouldn’t call it a hipster place, but it’s definitely the hottest place right now. What do you think of Gangnam and what’s its reputation among cool Seoul kids? Hmm… I personally don’t like Gangnam — [the area on] the south side of the Hangang river — that much. It is definitely a posh place, but to me, it lacks culture. Gangnam seems to be very wealthy, expensive, hip and posh; it has nice new buildings, posh boutiques, the best shopping places, pretty girls, huge new nightclubs, and all the fancy stuff. But the traffic is hell and the vibe seems to be a bit shallow. A cup of coffee could go more than $20 easily. On the other hand, Gangbuk (the north side of the Hangang river) has way more culture and history. There are lots of palaces and museums — it’s more old-fashioned but more authentic. I prefer Gangbuk over Gangnam. But a lot of hipsters and wealthy kids will disagree with me. As a Korean musician, was it weird that Psy became the big K-Pop crossover artist who’s popular in the U.S. and around the world? Yes. He himself said that he kinda knew “Gangnam Style” would be a hit in Korea, but he never guessed that the rest of the world might like it. I’d have said that the song would’ve been on the charts for maybe a few weeks, but it could’ve been a hard fight with all these K-pop idol groups. So, yeah, it was shocking indeed. Finally, what’s a bar or nightclub you would NEVER go to in Seoul? I will never perform at Woodstock again. Not that I don’t like the venue itself, but that bar was one of the worst places we had to perform. We were already upset when we figured out that there was nobody in charge of the outboard mixer, but we really got angry when one of the customers deliberately and easily turned down the volume without even discussing us. At first, we thought that the guy was some sort of engineer, but turns out, everyone had access to turn up and down the volume at that bar. Wrong! And check out Annie’s band!